Do you want to complete your CNA coursework in a very short duration? If yes, enrol in accelerated CNA programs. An accelerated nurse aide training covers the similar curriculum as traditional training, but the obvious advantage is that it completes in a less time period. Students, having good study habits and quick learning skills, can perform better in such programs. These training classes finish within 2 weeks. Students have to attend the classes 5 days per week, for around 6 hours every day. The cost of both traditional and accelerated nursing assistant courses is similar. 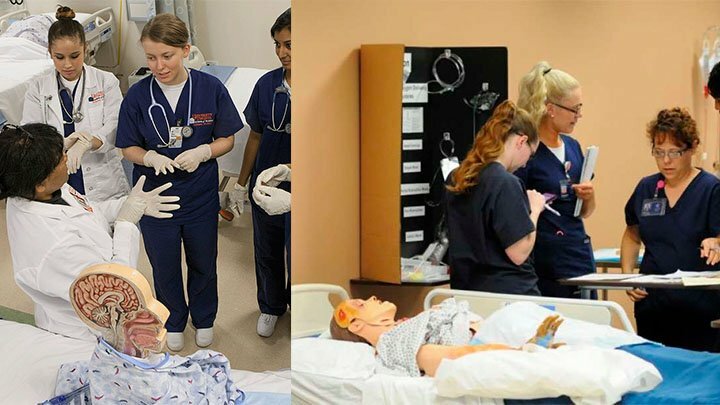 For Whom Accelerated CNA Programs Are Best? Candidates not engaged in any sort of employment. Employed persons, who have an extended leave of absence. Students, who can handle pressure. How Accelerated CNA Program is Different from Conventional One? Conventional course takes four to six weeks to finish, while accelerated program completes within two weeks. Compared to conventional training curriculum, the coursework of accelerated training is compact and inclusive. Accelerated programs are not available part-time. If you are currently engaged in a job and want to pursue this course, it might affect your schedule. On the other hand, conventional courses are also available part-time and can be pursued along with continuing a job. Driving license or photo ID card of the respective state. Aspirants are required to attend an information session. Students are ought to submit proof of medical immunizations and a criminal background report. Depending on the type of institute you enrol in, the program cost may vary from $400 to $1000. Some schools and colleges also offer training at discounted cost. Financial aid, in the form of loans and scholarships, are also provided by some institutions.